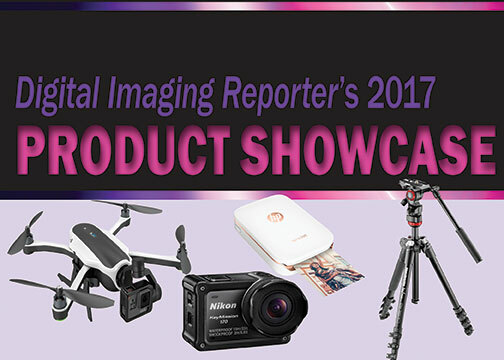 A signature feature of Digital Imaging Reporter’s convention and show coverage of the digital imaging sector, the 2017 Product Showcase highlights a selection of the most recently announced and notable imaging products at CES 2017. KeyMission action cameras are designed to encourage users to capture and share “missions” with immersive video, offering hands-free recording. 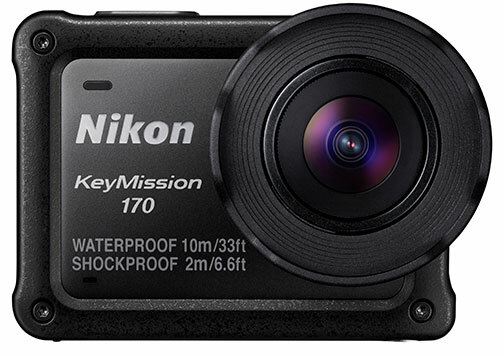 The KeyMission 170. To help tell stories from an individual’s POV, it employs a superwide 170° angle-of-view, f/2.8 lens and an 8.3MP CMOS sensor. It captures 4K UHD and 1080p Full HD video. Creative tools help create unique content: e.g., highlight tagging, which crafts a highlight reel montage of users’ favorite content; slow motion movies; and time-lapse plus loop recording. And in-camera electronic VR minimizes the effects of shake. Furthermore, it is waterproof (33 ft.), shockproof (6.6 ft.), freezeproof (14° F) and has a rear LCD for framing, playback and to change settings. Sony’s Cyber-shot RX100 V incorporates Fast Hybrid AF technology, offering “the world’s fastest AF acquisition [current cameras with 1.0-type sensor] at 0.05 sec and the world’s highest number of AF points on sensor.” Its 1.0-type stacked Exmor RS CMOS sensor with a DRAM chip works with an enhanced processor as well as a new front-end LSI chip to maximize processing speed, expand memory buffer and optimize image quality—particularly at high ISOs. 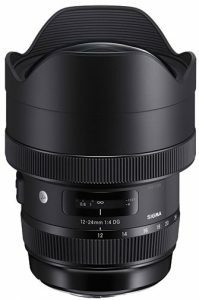 Sigma’s 85mm f/1.4 DG HSM Art lens supports high-res sensors, with an optical system built by Sigma R&D to produce attractive bokeh. Its architecture features two special low dispersion glass elements as well as one glass element with a high rate of anomalous partial dispersion and refraction. Full-time manual focus override was added, which can be controlled when the focus ring is rotated. $1,199. Sigma 12–24mm f/4 DG HSM Art. 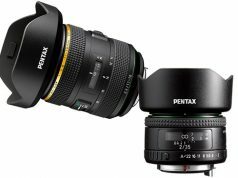 This lens features “the largest aspherical glass mold in the industry, offering photographers an ultrawide-angle zoom with virtually no distortion, flare or ghosting,” notes Sigma. It has a constant f/4 brightness and FLD glass claimed to be equivalent to calcium fluorite in performance. In addition, its optimized power distribution is said to result in image quality from center to edges. 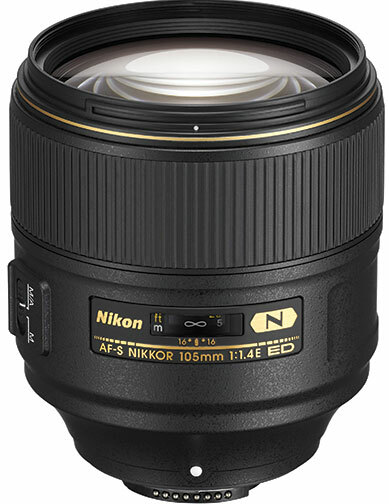 A 9.4″ minimum focus distance allows close-ups with expansive backgrounds. $1,599. 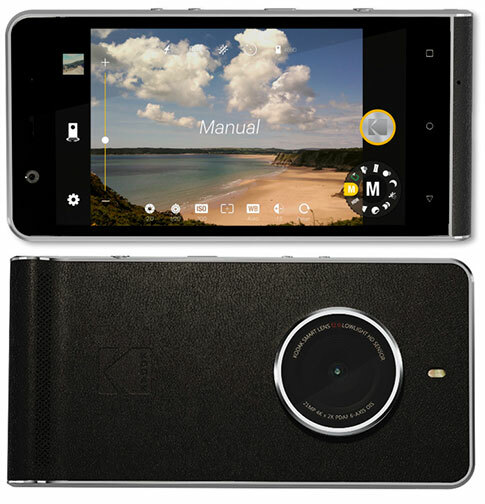 The Kodak Ektra smartphone is a photography-led device designed for photo enthusiasts. Initially launching in Europe, it fuses Kodak’s history in imaging with the latest innovations in smartphone photography. At the heart of the Android 6.0 Marshmallow smartphone is a 21MP, fast-focus sensor with an f/2.0 lens and dual LED flash. 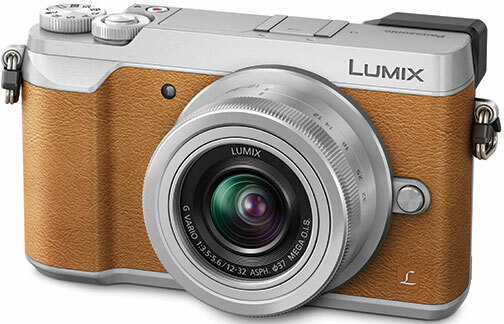 Its 13MP front-facing camera uses phase-detection AF and f/2.2 aperture. 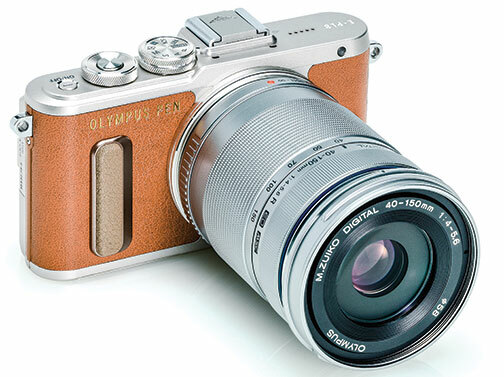 The GX85 has the look and feel of a classic rangefinder 35, but it’s an advanced Micro Four Thirds mirrorless camera that features a 16MP Live MOS sensor and Venus engine. The sensor omits the low-pass filter to boost fine detail resolving power by 10%. It captures 4K UHD video at 30/24 fps and provides a 10-fps, full-res burst rate with single-shot AF and 6 fps with continuous AF. Humaneyes Technologies’ Vuze is a 3D, 360° VR camera that uses Vuze Studio software to capture and render 3D and 2D VR content in near real time. 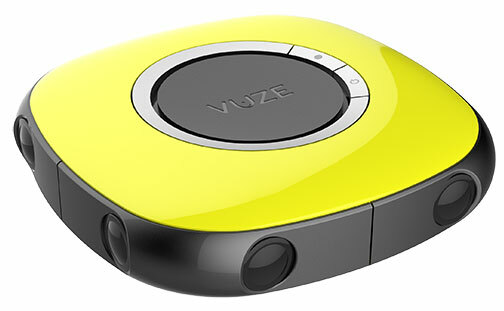 Vuze combines 3D and 2D capture using eight Full HD cameras within a point-and-shoot form factor. It generates 4K stereoscopic, 360° video that can be viewed on any VR platform, headset, 3D device or TV—no rigs required. 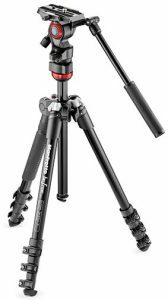 The Befree Live is the smallest, most compact video tripod kit in the Manfrotto range. 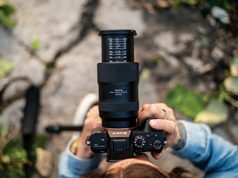 For indoor or outdoor use, it is designed for the emerging mirrorless and DSLR camera content-creator communities, including vloggers and mobile journalists. The foldable video tripod has all the characteristics of the Befree line. It boasts the Befree Live fluid video head that provides fluidity on pan & tilt along with precise leveling. The pan bar on the compact head is removable and foldable. Manfrotto claims the Befree Live fluid video head is the smallest on the market. Additionally it is compatible with the existing Befree family, 290 Light and all 40mm diameter tripods. HP’s new pocket-size photo printer instantly prints 2×3″ sticky-back photos from smartphones. The HP Sprocket app, free on iOS and Android, is designed to allow users to easily customize favorite smartphone and social media photos with color frames, text, stickers and filters. 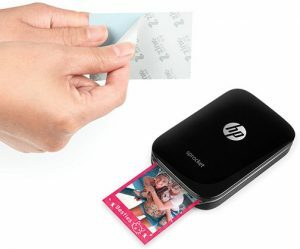 The smudge-proof, water-resistant, glossy photos can be shared, or users can peel off the backing and the photos become stickers to decorate bags, scrapbooks, journals and walls. The mirrorless, interchangeable-lens EOS M5 features a 24.2MP, APS-C-size CMOS sensor, a Digic 7 processor and the fastest AF speed in the EOS M series. 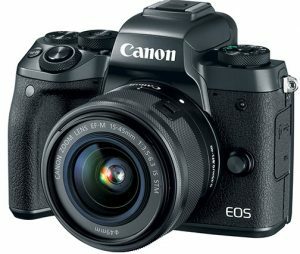 It’s also the first in the EOS camera line to include the low-energy Bluetooth Smart function that can maintain a constant connection with a smartphone/tablet via the Canon camera connect app. The M5 boasts a 2,360K-dot EVF and Canon’s Dual Pixel CMOS AF for capturing stills and video with “smooth and precise autofocus.” This allows for touch and drag AF, so users can switch the subject of their focus by dragging the AF frame on the 3.2″, tilting/touch LCD, even while looking through the EVF. And focus peaking lets them highlight the area of the image that is in focus from within the EVF or LCD. 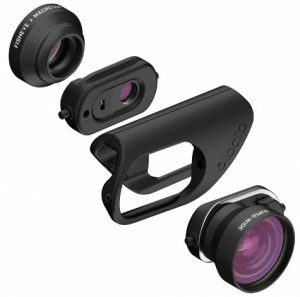 olloclip’s mobile photography lenses for iPhone 7 and 7 Plus feature multielement, coated optics, the Connect interchangeable-lens system to attach multiple Connect lenses, and a hinged base that keeps the lens flush with the camera for improved optical performance. 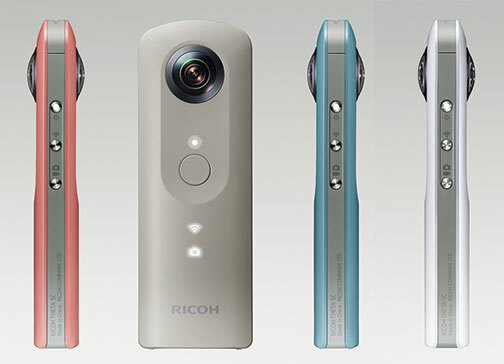 The fourth-generation, midrange Ricoh Theta SC records fully spherical 360º images that show the entirety of a scene. Lighter than its predecessors, it sports a sleek design reminiscent of a TV remote. It can also be handheld with one-button operation or placed on a flat surface or tripod to be remotely controlled by a smartphone via the updated Theta S app. 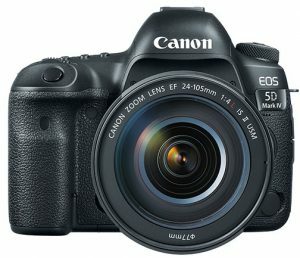 Canon’s EOS 5D Mark IV features a 30.4MP, 35mm full-frame CMOS sensor paired with a Digic 6+ processor. 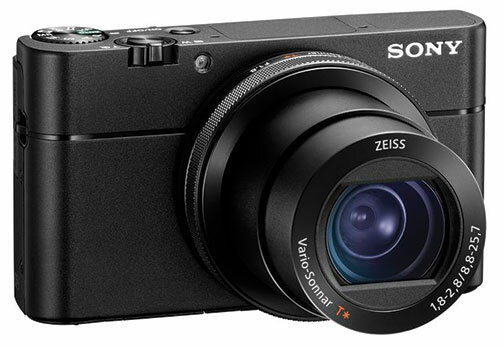 They are engineered to deliver 4K/30p video and 7-fps bursts. Additionally, Dual Pixel CMOS AF technology is incorporated to produce responsive, smooth AF and subject tracking during video or live-view shooting. AF sensitivity in low light is EV-3 and EV-4 in live view mode. 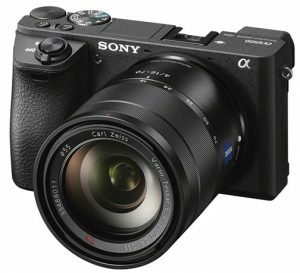 Specs include ISO 50–102,400, 61 AF points with expanded vertical coverage with 41 cross-points, and a 150,000-pixel RGB+IR metering sensor. The metering system also aids in detecting flickering lights and allows for enhanced scene recognition and face detection. The GoPro Karma features a compact, fits-in-a-small-backpack design. 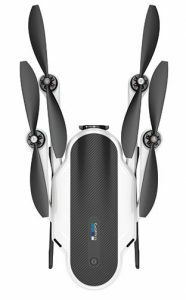 The drone comes with an image-stabilization grip that can be handheld or mounted. Foldable, the entire Karma system fits into its included backpack. 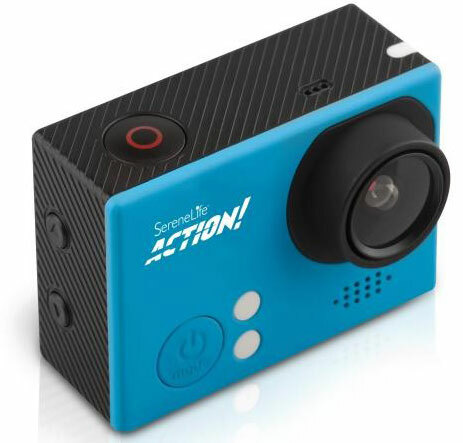 Pyle’s SLDV4KBL 4K Ultra HD action camera is marketing as “the perfect companion for action sport enthusiasts looking to relive every hairpin turn or monster jump, while sharing their HD photos and videos.” It incorporates a 16MP Sony CMOS sensor and records at speeds as high as 120 fps for slow motion video. The AF-S Nikkor 105mm f/1.4E ED is a premium medium-telephoto lens built to create flattering images with artistic bokeh, “while delivering impressive sharpness and beautiful color rendition.” The fast, full-frame (FX-format) prime lens is the “first to strike the impeccable balance of 105mm focal length and large f/1.4 aperture for a truly outstanding optic,” says Nikon. The PEN E-PL8 has metal dials as well as metal and leather-grained finishes. It features a TruePic VII processor, a 16MP Live MOS sensor and in-body IS. 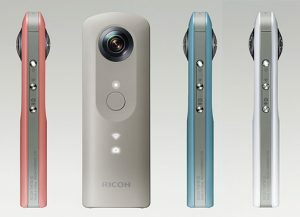 Its 180º flip-touch LCD aids in selfie shooting (still and video). The camera automatically switches to selfie mode when the monitor is flipped downward to its front-facing position. The monitor then turns into a mirror display, and the camera focuses and shoots with a touch of the monitor. In e-portrait mode, it automatically smooths skin tones, and users can apply art filters. 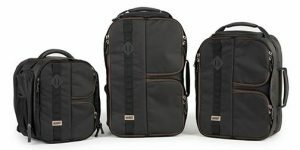 Working with renowned wildlife photographer Moose Peterson, MindShift updated three classic Moose Peterson backpacks. Initially designed for wildlife/safari photographers, they feature three-compartment layouts to protect gear. The Moose Packs can carry up to three DSLRs with telephoto lenses attached—up to 600mm f/4. “Moose Ear” flaps close automatically to protect gear from spray and debris. They also meet airline carry-on requirements and fit in the overhead compartments of regional jets. With Sony’s 4D Focus system to lock focus in 0.05 sec., it features a 2.4M-dot OLED Tru-Finder EVF, an APS-C 24.2MP Exmor CMOS sensor, a Bionz X processor and also a new front-end LSI. The AF system has 425 phase-detection points positioned over the image area and also includes contrast-detection AF. Plus, 5-axis optical IS provides a 5-step shutter speed advantage. Using touch-screen AF, shooters can lock focus by touching a subject on the screen. Furthermore, when using the viewfinder for framing/shooting, the LCD can be used as a touch pad.